The rise of socialism in the Democrat party is a source of concern for all of us - we can laugh it off as some left-fringe kooks showcasing their monumental ignorance of history. In reality, though, socialism is the logical next step for the American left in general. As I explain in my book The Rise of Big Government, the egalitarian ideology from Europe's welfare states has already conquered America. Our poverty definition is such that we can never get rid of poverty - only redistribute income from higher earners to lower earners. "When is government big enough?" 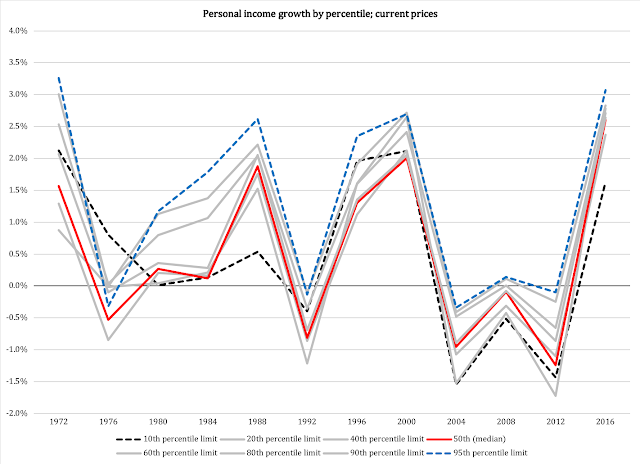 ...unless admitting that its growth will not stop until all income differences have been eradicated. Their means to this end is a gradual and endless expansion of entitlements, while ignoring the obvious yet inescapable problem that entitlements outgrow the economy over time, nicely explained by Dan Mitchell in this blog article. Heather Boushey, designated chief economist in the never-to-be Hillary Clinton administration, recently echoed these sentiments, albeit somewhat more formally. What these slightly less radical voices of the left do not tell us is there comes a point when the pursuit of egalitarianism has suppressed economic growth and prosperity to a point where the economy stagnates. That is when egalitarianism morphs into full-blown socialism, with government confiscation of businesses. Some socialists are already envisioning this future. It does not help to explain to them about how socialism leads to misery; such arguments fly over the head of these socialists for the very simple fact that their goal is not to create prosperity. It is to redistribute income and wealth until there are no economic differences between people. There are many antidotes to this dangerous ideology, one of them being relentless statistical review and analysis. Numbers, as we know, don't lie. To suggest that economic growth does not benefit "the working class" is to be ignorant. 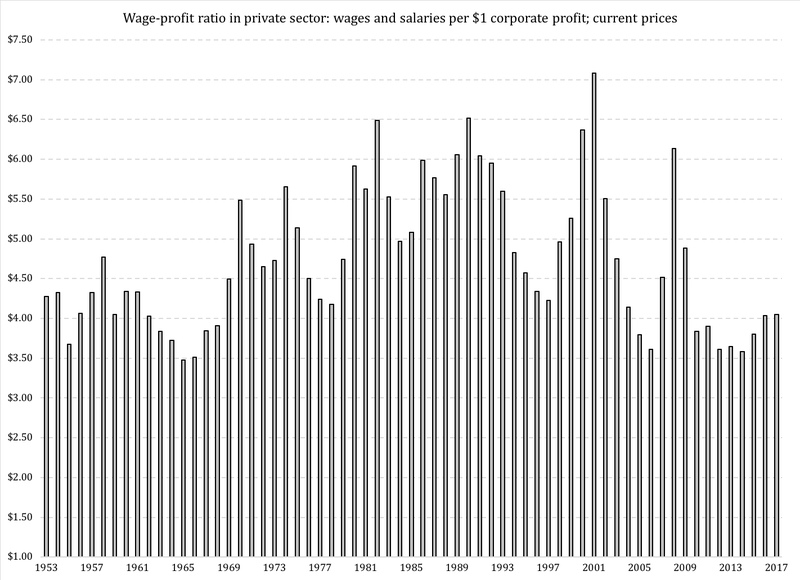 These argument often attack "profits" as some sort of evil invention put in place exclusively to exploit workers. This pure-bred Marxist rhetoric, eagerly employed by the profit-hating left, often leads to attacks on our financial industry, whose profits seem to be a particularly irritating thorn in their side. Non-financial corporations are everything from Google to Delta Airlines to John Deere to Norcom that makes most of the paper that college students use to scribble down anti-capitalist rhetoric in class. Some socialists still want to confiscate America's businesses. 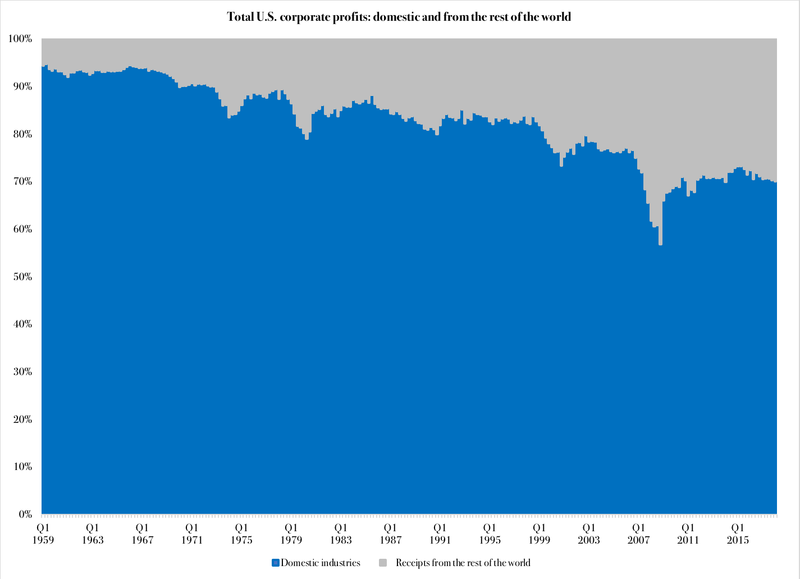 Their unhealthy obsessions with other people's money leads them to ignore another important fact about corporate profits: an increasing share is made abroad. Our businesses have a competitive edge in the global economy, contributing to their growth and their ability to keep and create new jobs here in the United States. If our businesses were socialized, how competitive would they be on the global market? How many of you remember export products from behind the Iron Curtain during the Soviet era? How many large North Korean industries are competing on the global markets? Cuban? Even Venezuelan? 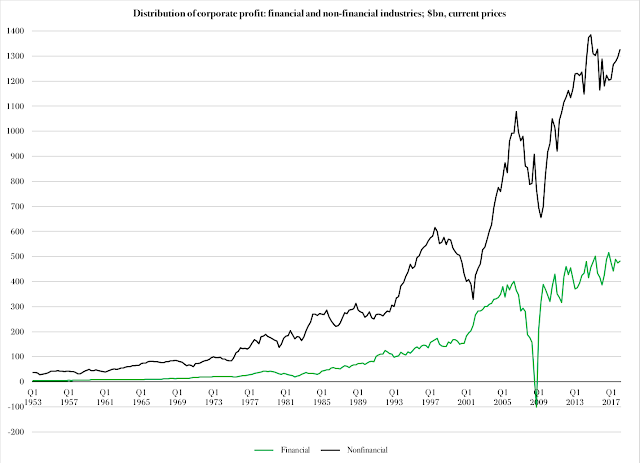 In other words, most of the corporate profits earned by American businesses are earned in non-financial industry. A growing share is also earned abroad, reinforcing the issue of competitiveness and skilled corporate management, neither of which are virtues in a socialized economy. The growth in benefits, combined with the long-term steady balance between wages and profits, suggests that the American workforce generally is better off today, relative corporate owners, than they were half a century ago. In that sense, the distribution of income between - to use classic Marxist terminology - the working class and the capitalists has gradually shifted in favor of the former. The point, again, is that even the lowest income bracket has benefited when the economy has done well. In fact, in the 1990s their earnings rose faster than median income, and in 2012-2016 they experienced a similarly sharp rise in income as those in higher income percentiles. In short: it pays to make more money, but that does not mean it does not pay to make less. 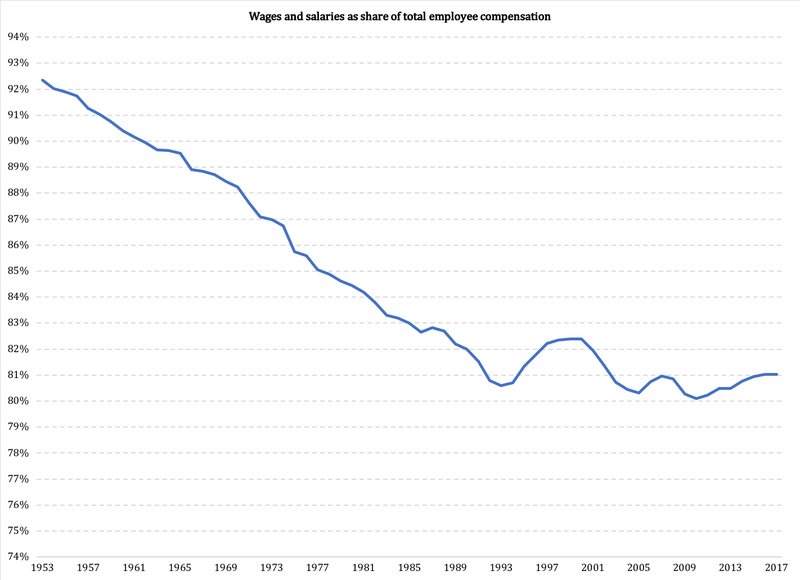 Overall, the American workforce is doing fairly well. That is not to say we don't have problems; for one, our GDP growth rate has trended down lately, and it has not been until the last couple of years that workers have begun seeing some real growth in earnings again. However, to suggest that we solve those problems by socializing businesses is to suggest that we try to cure a cold with blood letting. Which, by the way, is pretty much what socialism is all about: it slowly bleeds people to death by means of financial, emotional, social and intellectual attrition.